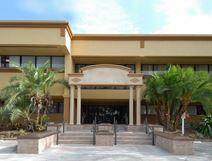 Executive space located close to the Altamonte Mall and easy access to the I-4 at Crane Roost Park. This facility offers space that can be tailored and includes refreshments, excellent conference and telephone amenities, and a friendly receptionist. This centre is located at Altamonte Springs, with excellent transport connections close-by. The centre provides quality office accommodation in a comfortable and efficient business environment. With monthly promotions and events, this is a well connected venue for your business.